The Jacknobber offers's unique, ergonomic design makes it ideal for clinic or home use. The smaller knobs may be used to create deep pressure and the larger knobs give a more diffused and gentle pressure. Two knobs may be used to press into muscles on either side of the spine. 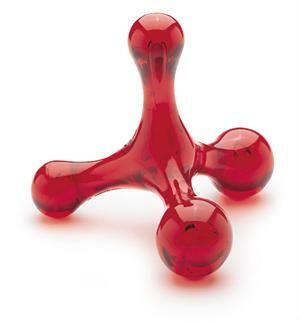 The Jacknobber provides pain-releasing pressure to the back, neck, shoulders and muscles throughout the body.